As previously stated, we had a lot of leftover watermelon from the Fourth of July. We came up with a refreshing watermelon drink and this recipe. I'm not even sure if you could call this a recipe, but whatever it is- it's delicious. 2. 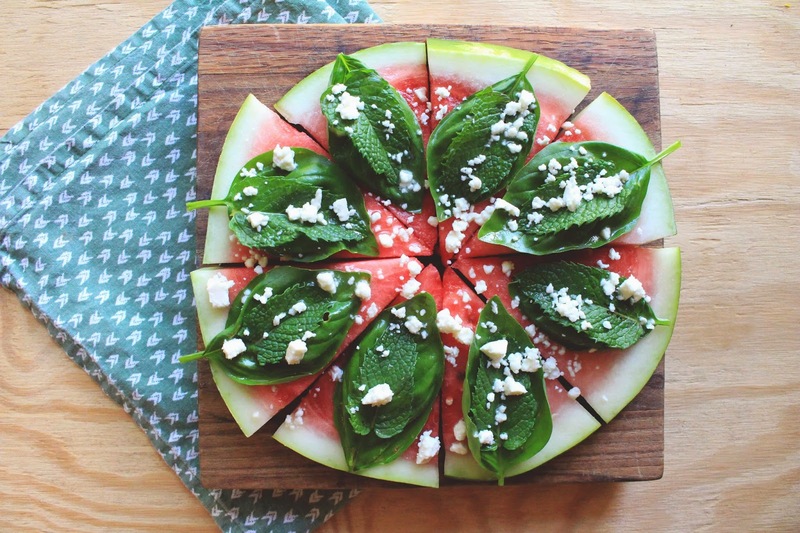 Add basil leaves to each watermelon slice. Then add a mint leaf on top of the basil leaves. 3. Sprinkle with feta cheese. 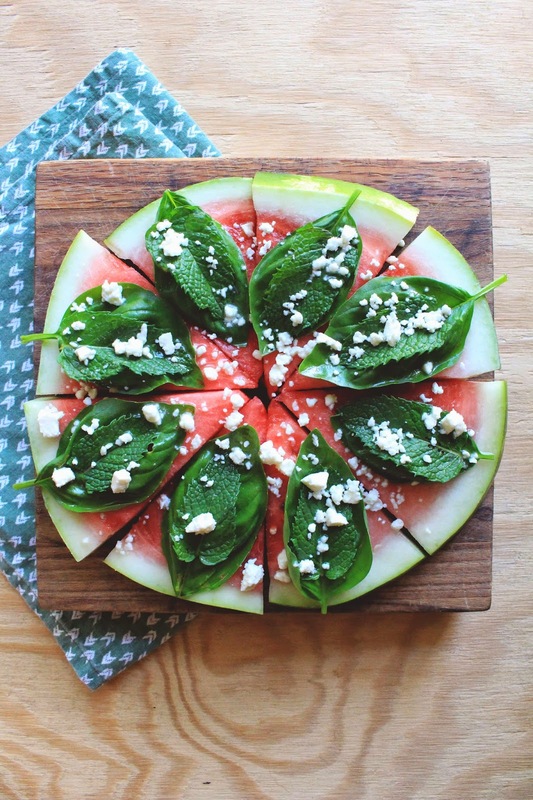 My fave summer snack: watermelon+feta! This is so brilliant! 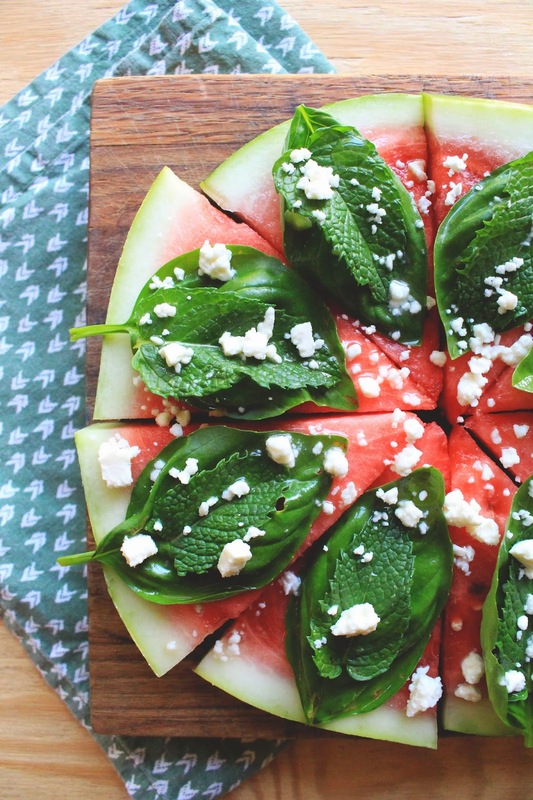 I’ve grilled watermelon before - I bet that would be good too.